To help you easily grasp the dynamics of economics and business in the Philippines with visual illustrations, here is a set of 5 individual infographics about the country. 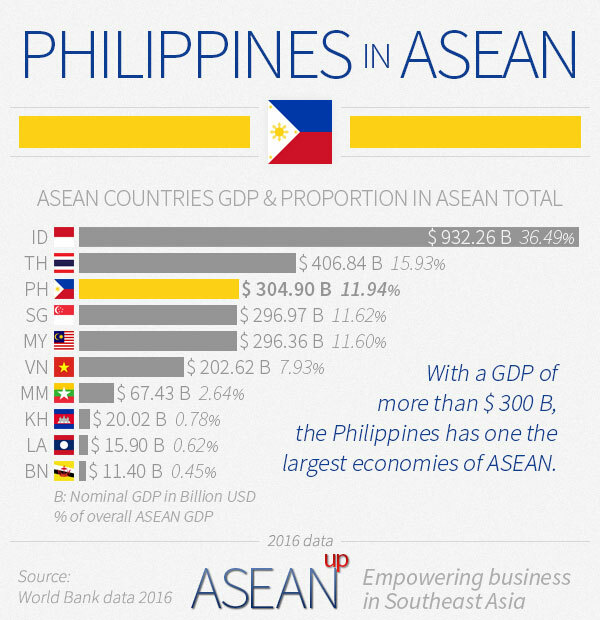 They detail information from the World Bank data from 2016 on the population, wealth and economy of the Philippines compared with ASEAN and other major global markets and economies: US, EU, China, Japan and India. For more information on the Philippine and Southeast Asian population, cities and urban population, check this other series of infographics on ASEAN demography, top cities and urbanization. For a broader view of ASEAN’s demography and economy, visit the infographics on ASEAN’s population, market and economy. Feel free to use these infographics as needed for your presentations, websites, blogs, illustrations, etc. However, if you do so, please add a link back to this page to help spread this useful information and graphics. Thank you! 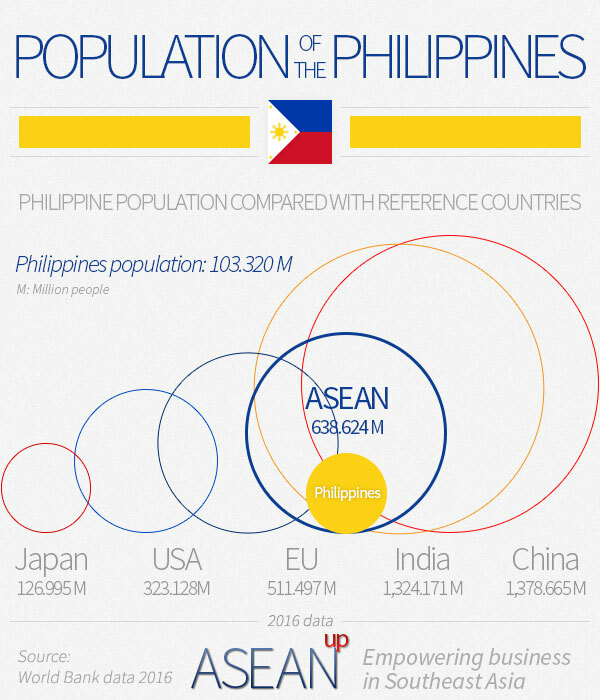 This first infographic compares the population of 103 million of the Philippines with ASEAN and other major global markets: the US, EU, China, Japan and India. 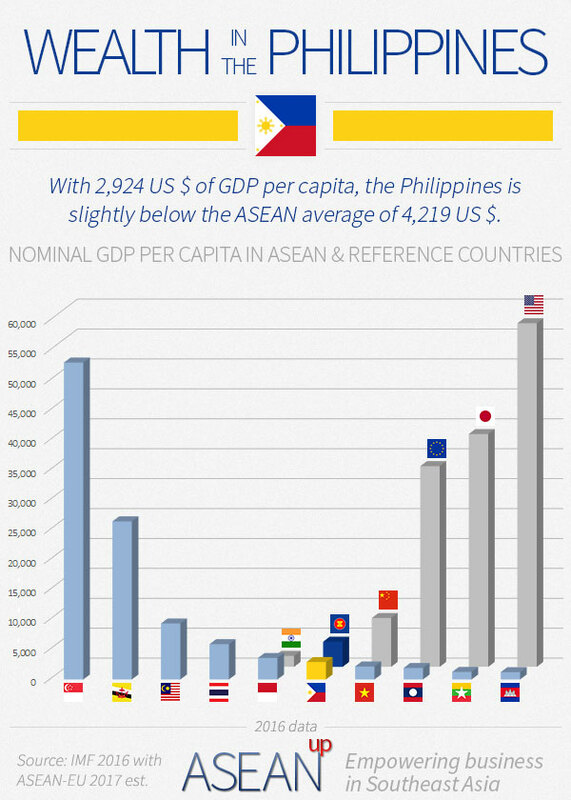 The following graphic displays a comparison between the wealth of Filipinos, expressed in nominal GDP per capita, with other ASEAN countries, ASEAN as a whole, as well as major regional and global powers: the US, EU, China, Japan and India. 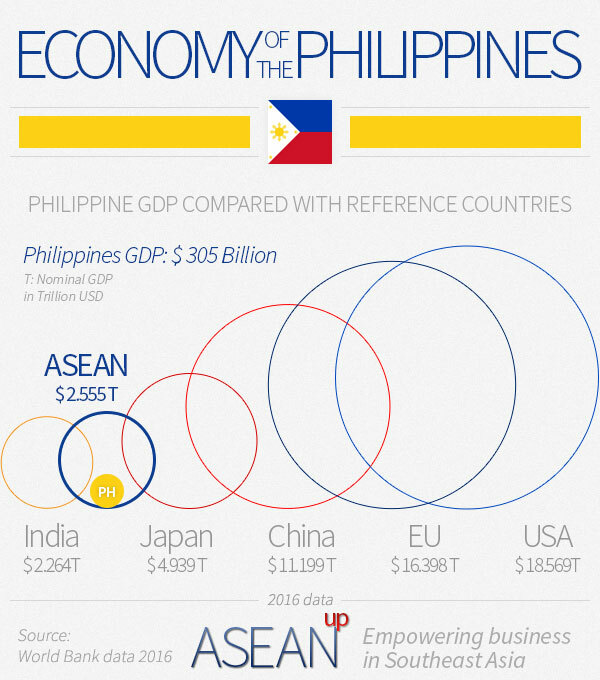 These two infographics compare the US$ 305 Billion GDP of the Philippines with other countries. The first one with ASEAN and other major global markets: the US, EU, China, Japan and India; the second within ASEAN and its other 9 member countries. 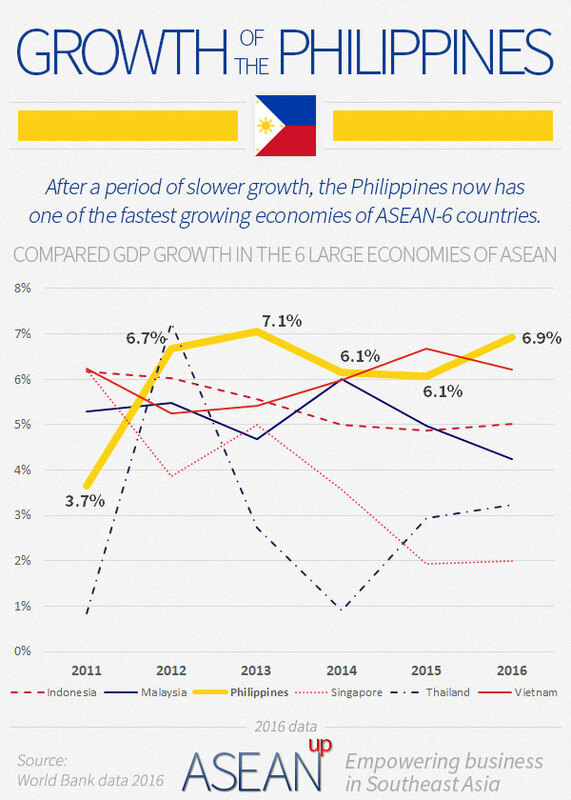 This last graphic presents the economic growth of the Philippines over 2011-2016 compared with the ASEAN-6 countries, the six largest economies of Southeast Asia: Indonesia, Thailand, Philippines, Singapore, Malaysia and Vietnam.